With a turning speed of up to 1000 r.p.m, the Kitagawa DS250 provides a lathe that can be attached to your machining center bed. This spindle speed is achieved with an additional servomotor connected by an original patented Kitagawa mechanism. 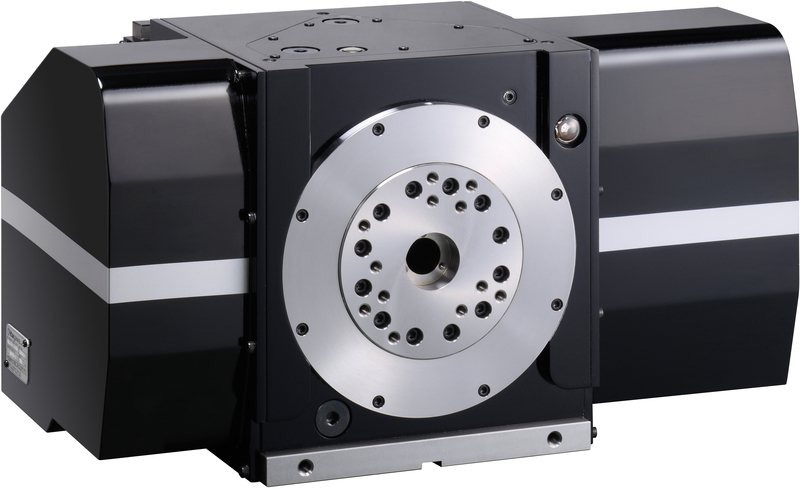 The DS250 still functions as a traditional fourth axis rotary table with an indexing speed of 25 r.p.m with 500N.m of static pneumatic clamping torque. This gives you the option for combined machining at the lowest initial cost when the DS250 is used on a three axis-machining centre. The DS250 utilised alongside Kitagawa chucking and work-holding solutions allows for many machining solutions to be realised. More specifications will be available at our stand at EMO.